Man, do they bring back memories! 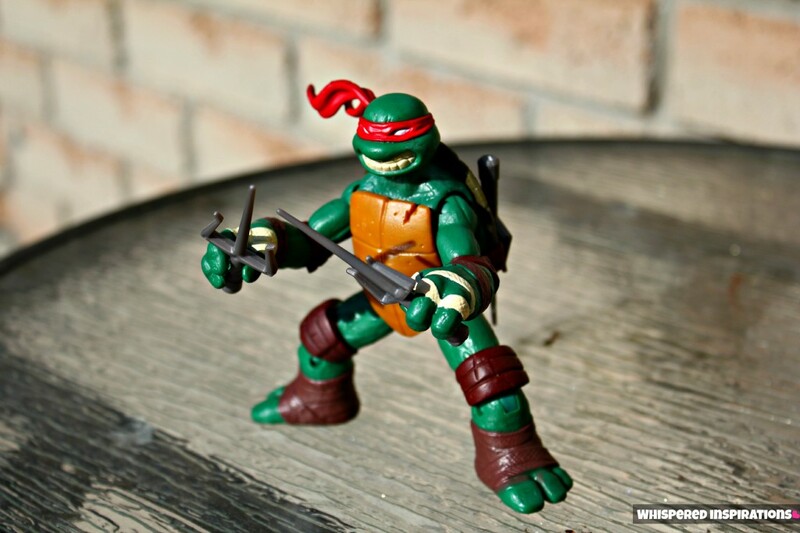 When I was a kid, actually a little younger than my daughter is now, I woke up every Saturday morning to watch the Teenage Mutant Ninja Turtles and play with the old figurines my brother had. I was super excited when Nickelodeon sent over their new turtles for me to review, as you can see the apple doesn’t fall far from the tree. My daughter was super excited to open them up and start playing with them. She received Raphael, which came equipped with his signature weapons and Leonardo came along with his katanas and he TALKS! These toys are some of the hottest toys of 2012 and they are going like hot cakes! You can purchase them here, or you can also buy in-store. Your kids will love these under the tree this holiday season–for fun that will last for a long, long time after Christmas! Leonardo Power FX figurine comes with such detail, beautiful colors and unique shape. I notice that they are different from turtle to turtle in size and shape. Also, the holster works and you can put away his swords on his back. By “kicking” or moving his legs, he will let out expressions that make any play time fun and real! 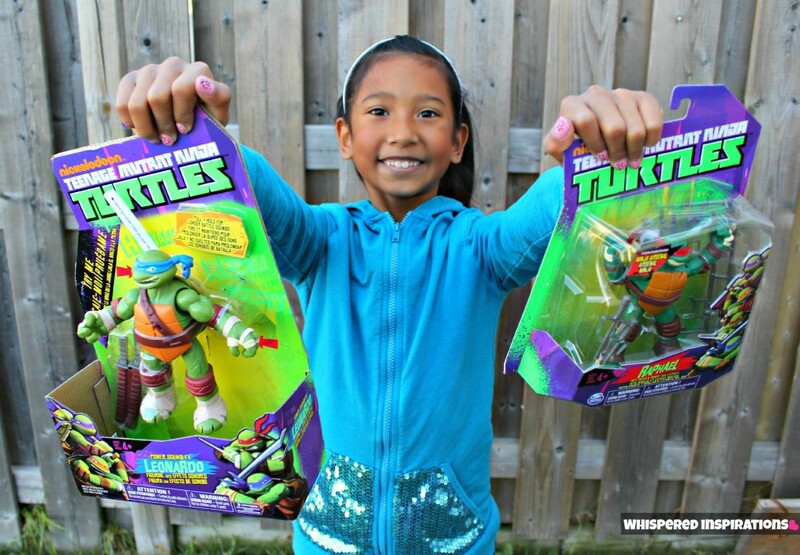 You can get Michelangelo, Donatello and Raphael too. Gabriella loved this one, since she could role play and Leo would make the sound effects–it was her favorite. She also loved the holster and his katanas of course! 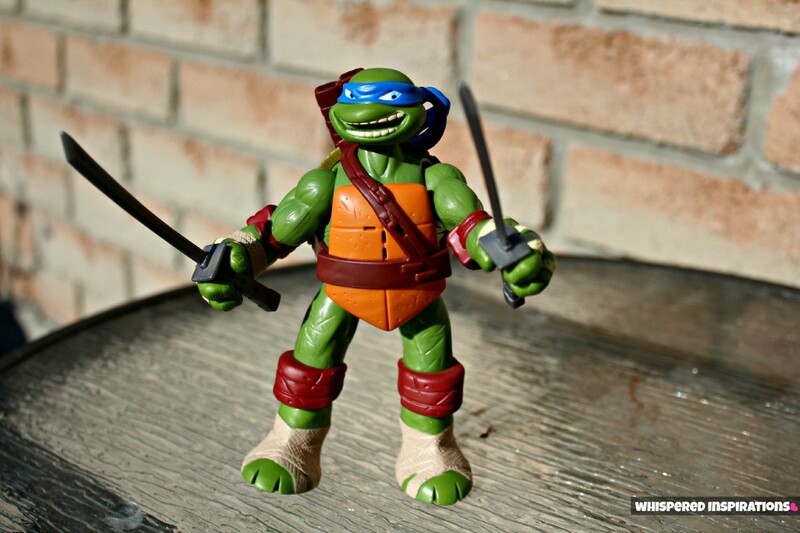 Raphael and the new 2012 figurines look absolutely amazing. There is such attention to detail and expression, I love the retro figurines but–these are awesome! He came equipped with all his weapons and Mimi much liked him, though since she’s still too tiny she only played with him while we watched. These toys are recommended for 4 and up. My girls absolutely loved them and I’m sure any little boy or little girl would be happy with these under the tree. Do the turtles bring back memories? 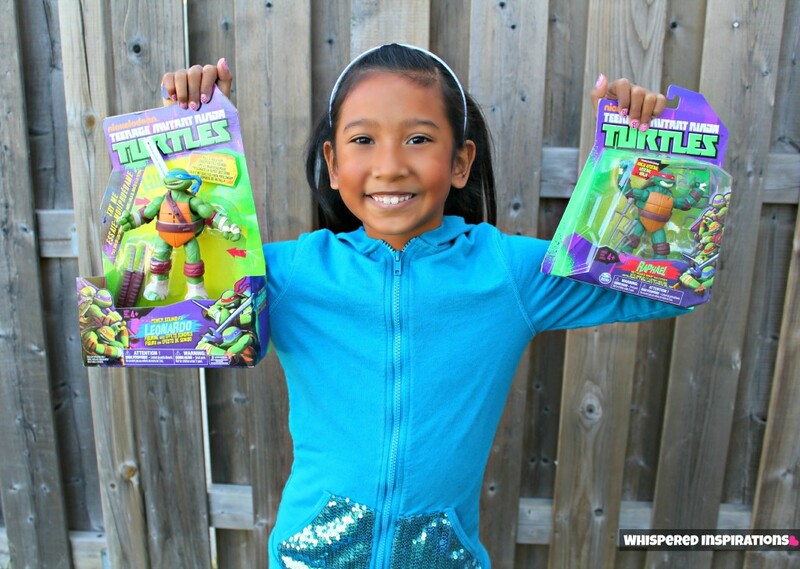 Rumour has it they are also coming out with Ninja Turtle LEGO……my son's head pretty much exploded when he heard. He loves the Turtles….. Leonardo is his favourite. It's amazing that he enjoys a toy that I also played with when I was younger. It makes me happy to see their return!